My mother died defending people's rights in Russia. Now her successor is facing 10 years in jail. Please help. My name is Lana Estemirova. You may have heard about my mother, Natalia Estemirova, who was murdered for defending human rights in Chechnya nine years ago. She worked for Memorial, one of Russia’s leading human rights organizations. After my mother was killed, her friend and colleague, Oyub Titiev, became head of Memorial’s Chechnya office where he continued her work documenting the torture, disappearances and murders committed by Chechen authorities. Despite numerous threats from the authorities, Oyub and his colleagues have managed to save hundreds of lives over the years. Today Oyub’s freedom, the work of Memorial, and the legacy of my mother are in danger. This is why I am asking for your help. In January, Oyub was arrested and charged with possession of marijuana. Framing people for drug crimes is a common tactic employed in Chechnya to justify arrests and discredit critics in the eyes of Chechnya’s conservative society. I have no doubt this arrest is punishment for his involvement in human rights and his criticism of the regime. I am sure that the charges were trumped up in order to squeeze Memorial out of Chechnya, as it is the last organization in the republic dedicated to uncovering human rights violations and providing legal assistance for victims. Oyub may be facing more than 10 years in jail for a crime he didn’t commit. Neither my colleagues nor myself believe justice is possible in Chechnya. After Oyub’s arrest, Ramzan Kadyrov, leader of the Chechen republic declared that “[human rights defenders] must know they cannot work here” and promised to “break the spines of our enemies.” In such a climate, how can we hope that the trial will be fair? Oyub Titiev, someone who defended people from the authorities’ arbitrary actions, is having his case ‘investigated’ by the same system that fabricated the charges against him. This is not a trial but a public punishment. Oyub’s testimony that the marijuana found in his car was planted by the police is not even part of investigation. Nine years ago we failed to save my mother. But we can still save Oyub. We can still save Memorial. I am sure of this. 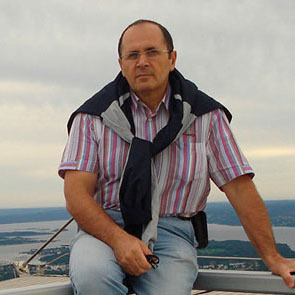 I am asking you to help me to reach President Vladimir Putin and ensure Oyub Titiev’s release. For this to happen the President must take control of the case and ensure that it is investigated at a federal rather than local level. In January of this year, Oyub Titiev, the head of Memorial’s office in Grozny, was arrested and falsely charged with drug possession. We are absolutely sure, that local authorities are using these trumped up charges as an excuse to squeeze Memorial out of Chechnya, as it is the last organization in the republic dedicated to uncovering human rights violations and providing legal assistance for victims. We are outraged at the cynical abuse of the Russian legal system for the purpose of carrying out this punitive operation, the goal of which is to intimidate all human rights defenders and those who are striving for justice and respect for human rights in the Chechen republic of the Russian Federation. We appeal to you, as the guarantor of the constitution, and ask you to take personal control over Oyub Titiev’s case, ensure the investigation is conducted at the federal level, and to stop the persecution of Memorial. We hope you will respond positively to this situation.